The Arts Advice Centre invites new and returning UFV students to a fun, informal, and interactive event. Walk around and speak with faculty members from various departments within the College of Arts. This is an opportunity to ask questions, as well as interact with other students. Alumni, Career Centre, Student Life, Study Abroad, and the Teacher Education program will also be in attendance. Pizza and pop will be served, and door prizes will be given away. 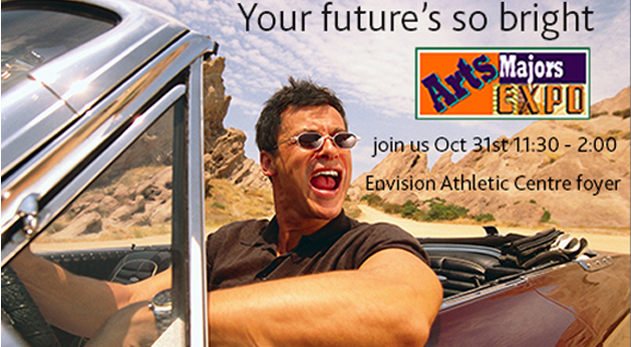 Stop by the Envision Gym Foyer on the Abbotsford campus from 11:30 am to 2 pm on October 31.